John Waugh, Photographic Images providing photography on location, in studio and trackside for the discerning motor sports enthusiast for the last 14 years. John travels to events, private collections and museums creating photographs for documentary portfolios, catalog promotions, editorial projects and entry submissions on location. John has been the official photographer of the Colorado Grand for 10 years and he produces promotional and participant photography for numerous other gatherings throughout the season. 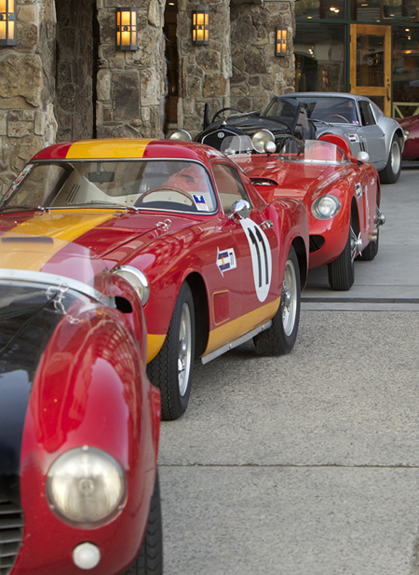 His work compliments private tours and Concours d'Elegance events alike. His photographs have been represented in in Autoweek, Vintage Motorsport, Sports Car Digest, Robb Collection, Cavalino and other publications. If you have a project that needs specialized attention, give him a call.